The beautiful and captivating nation of Nicaragua is home to many dear friends of Unearth the World. We currently have two partners in this special country and have worked closely with these communities since we founded. 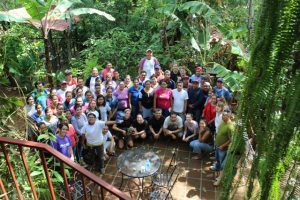 The eco-hotel we collaborate with in the Masaya region has graciously hosted dozens of Unearth the World individuals, universities groups and professionals over the years. Their genuine hospitality and ability to teach our program participants about sustainable tourism, the environment and social justice is incredible. 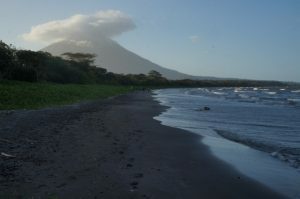 And the permaculture farm on the Isle of Ometepe that we work with has not only provided transformational experiences for many students but also inspired the Unearth the World team to think differently about food systems. 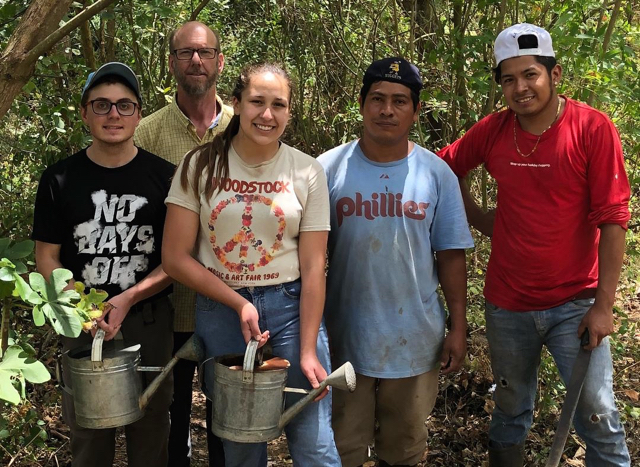 Our organization’s connection to Nicaragua runs even deeper for one of our co-founders – Mike Pisco – who spent a life-changing summer during college living with and working alongside a wonderful family in the northern town of Ocotal. Mike is still in close touch with his host family and Unearth the World continues to be dedicated to our partners. Because of our close ties to Nicaragua, we feel compelled to write a short update about the current – and ongoing – crisis. We are deeply saddened by the recent unrest. Since Nicaragua’s civil war ended in 1990, the country has been steadily and peacefully rebuilding. And, even though Nicaragua is still considered one of the poorest countries in the western hemisphere, the country has widely been considered one of the safest countries in Central America. Tourism had been growing rapidly and the country seemed poised to continue its upward trajectory. Unfortunately, this all changed on April 18 when protests and strikes led to violence and turmoil with a death toll now reaching over 160 people. While criticisms of the government had been mounting for years, the recent domestic unrest began when university students in the capital of Managua were shot and killed while protesting a decision made by President Daniel Ortega to cut social security. Even though the Nicaraguan government has since reversed the controversial decision, it seems that the damage has been done. For two months now, Nicaraguans have faced regular violence, roadblocks, and food and gas shortages that have brought economic activity to a standstill. Small businesses have been especially hit hard and the once booming tourism industry has crumbled. Peace talks have been ineffective so far and it is uncertain what the future will bring. In this trying time, Unearth the World wants to do our part to stand alongside our friends in any way we can. And, while we have made the unfortunate decision to suspend our programs in Nicaragua this summer for safety reasons, we have provided a few ways below that Unearth the World has deepened our commitment to our partners abroad. In talking to our partners, we have heard of a few things that we can all be doing to connect in a positive way with the country of Nicaragua and it’s citizens. Please reach out directly if you would like to learn more! Stay informed as best you can about what is going on. Contribute financially to reputable organizations. (Click here if you would like to make a donation to either of Unearth the World’s partners). Engage virtually with businesses in Nicaragua. For instance, one of our partners is an eco-hotel and Spanish school that offers Skype Spanish lessons. This is a great way to remotely contribute towards a local Nicaraguan business. For more ideas or to start your Skype lessons, reach out to us directly! Visit – when the country is once again safe. Unearth the World plans to ramp up our cross-cultural exchange and global service programs as soon as we are able. The people of Nicaragua are resilient, innovative and dynamic. Unearth the World believes that the country – and its people – will get through this crisis and emerge as stronger, more unified nation.